The flag is the symbol of everything the Jewish State should symbolize. On this Yom Haatzmaut, it seemed to me to be a good idea to investigate Rav Kook’s ideas about flags, and specifically our Jewish flag, that of the State of Israel. Rav Tzvi Tau has written a wonderful account of the meetings between Rav Avraham Y. Hakohen Kook, Palestine’s Chief Rabbi, and the Jewish Legion. The Legion was founded by the British Army, five Battalions of Jewish volunteers of the Royal Fusiliers who fought in World War I. American, British, Palestinian and some European Jews fought side by side in the Legion, under British officers; the ranks of the Legion included names like Jabotinsky, Trumpeldor and Ben-Gurion. . These men saw action in the battles under General Allenby which wrestled Palestine from the Islamic empire of Turkey. Rav Kook, stranded outside of the Holy Land by the war, had met with some of these troops while they were training in Plymouth, England, in 1917. He had hoped that the Legion would continue to function after the War, as the Defense force for the Yishuv, the Jews of Palestine. But King George Vth officially disbanded the unit in 1921; it may’ve been that the Legion fought too well, and the British were drifting towards the Arabs and not inclined to have a strong force of armed Jews in the Holy Land. Yet even as late as 1925, England officially held a policy that supported and furthered the establishment of a Jewish state in the Land of Israel. This policy sprung from Britain’s recognition of our claims to Eretz Yisrael according to the Tanach, the Bible. That year, the King granted a request to retire the flag of the Jewish Legion in Jerusalem; King George directed that it be placed in the Churvah Synagogue, in the old Old City, for posterity. “Blessings to our brothers, sons of the Legion, נושאי דגל ראשית צמיחת ישועתנו - bearers of the flag of the first flowering of our Salvation…may the Lord, the Rock (Tzur)of Israel bless you with עוז וחיל, might and strength; together may we merit to see the deliverance of our Nation, with a תשועת אמת וגאולה שלמה- the realization of our true salvation and full Redemption…The nation goes on and is built up, preparing herself for its Redemption, and universal Redemption. The nation flowers in the full beauty of its תפארת, its multi-dimensional, many-faceted splendor. Despite the sea-waves of troubles washing over her, from all the goyim, she … raises her (prophetic) vision to the far future”, seeing her ultimate full development even in these preliminary stages-and so despairs not. “Zealous feeling for country grows ever stronger, recognition of identity grows; Israel knows she has a Land, a language, a literature, national memory, national expectations- and an army. Feelings of national honor return and beat in Jews’ hearts”- where love of the Nation, and longings for dedication to the building of their lives in their Land, according to their nature and values, swell. 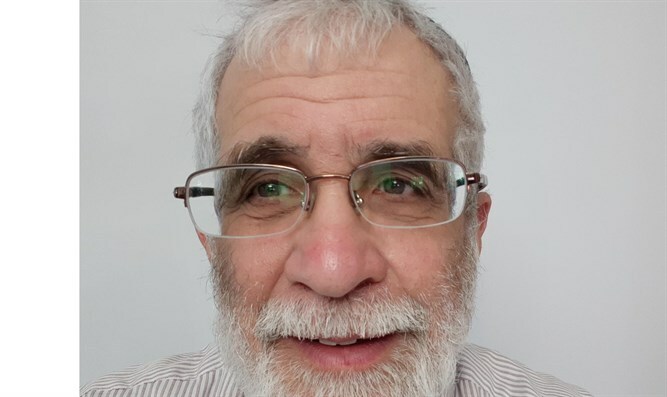 The renewal of an army and the recognition of the value of a military, with all the concepts that go with an army and the military, are also signs of the Geula( Redemption). “May the Lord’s blessings, and Heavenly strength of heart and salvation be granted to all the sons of the Legion, as they stride before the armies of England in its conquest (כיבוש) of the Holy Land, in order to give her to the Nation of the Lord. Thereby England does justice to the oppressed (mishpat la’ashukim). For the conquest of the Holy Land in this offensive war has significance not only for Israel, but rather a universal meaning for all of humanity, no less than for us. "For there is no doubt, that as long as the situation of the nation of Israel is not repaired, by making good the theft of her land (גזילת ארצו ), by returning it to Israel, this horrific, deadly World War will not bear any fruit for the peace of humanity. “Though we cannot fight to conquer (לכבוש) our Land under the particular flag of Israel, the part that our fighting Jewish brethren play by fighting under the standards of the Allied nations is more than enough to raise the flag of our just claims against the nations of the civilized world for the return of our Holy Land .May the honor of the Kingdom of Britain be elevated in this world, and may her quite moral victory(nitzachon hamusari) go from success to success “. How one wishes our modern leaders and Rabbis would talk like this. Rav Kook was heads above of our cynical Leftists who have turned the word “kibush”, conquest, into a pejorative; ours is a just battle to return our Holy Land to us- a war to ,in the words of our prophets (Isaiah 2;4) truly “end all war”. Yet the Sgan Ramatkal (Vice Chief of Staff), instead of stating our case as a nation of victims of theft and Holocaust, chose to imply that a few crazies who burn Arabs, out of 6.5 million Jews, represent a worrisome phenomenon. Worse, instead of declaring the morality of our fight and our fighting men in a battle against an uncivilized world, our Army has assumed a guilty attitude, leading to such atrocities as the pillorying of soldier Elior Azarya. Is it any wonder that we fail at Hasbara? “Dear brothers, we can justly say with pride, that the ceremonial recognition given by Great Britain in such a noble fashion to our military flag, was expressed in our Torah in the story of the first steps that our Nation took on the stage of history: when the Nation of Israel left Egypt. We begun a long desert journey to come to this Land, to inherit it as ours, given to us as an eternal patrimony by the Word of the Lord. At that time Israel organized itself “from 20 years and older, all those who are fit to go out to the army in Israel…count them by their regiments (Numbers 1;3)….each man in his own division signposted by a flag ( that is identified with) his father’s house(ibid,2;2)”. The Chief Rabbi of Palestine, Rav Kook, then went on in a lengthy explanation of where the Jews of the desert got the very idea to have flags. The Midrash says that at Sinai, it was not only G-d that appeared to us, but also angels: “The Chariot of G-d is twice ten thousand, thousands of Shin’an angels; My Lord is among them, at Sinai in holiness”(Psalms,68;18). Seeing all these angels arranged in regiments about their flags, the Jews longed for the same. Rav Kook explained that Shin’an are angels who efficiently and quickly discharge their missions, each angel having his own mission. In Midrashic metaphor, “angels” refers to myriad lofty ideals, emanating from holy worlds: Belief, Knowledge, Mussar, Love, Gevura(Might and Justice),Beauty, Science, etc. Each angel/ideal has its own sphere, yet they all function harmoniously to execute their mission in this world. It is this harmony, this פאר/תפארת that the Jews longed for, and which they achieved on the Road of Exile, the Road to Eretz Yisrael. Moreover, we say that at Sinai “the Torah was given in 70 facets”, each facet corresponding to a nation of the world. Each one of them has its own unique character and contribution to be made in this world. Unlike the globalization movement, true peace will be achieved when all these 70 facets of Torah, these nations, reach their unique potentials, and also follow the Word of G-d. First came unity among these multi-dimensional angels; then among the multi-faceted tribes of Israel; then will come the harmonious unity of all humanity around the One G-d.
Our wars will be the war to end all war, leading to eternal Peace, the reason for which this Nation, Israel, was created. Thus spoke the first Chief Rabbi of Israel. 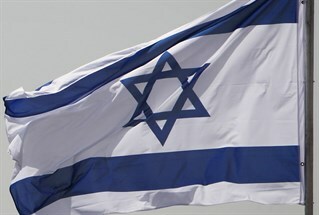 May we merit, this Yom Haatzmaut, Sefira period and Shavuot, to see the ideals that he saw in our flag, come to fruition.